At the moment the Lakers don’t have a whole lot to sing about. Sure it’s been a fun season and the King is back. But LeBron James or not it looks like everyone else is about to leave. As Magic looks to offer everything in L.A. except the gridlocked traffic (try missing your 15 minute rush hour Uber window because of a clipped card and seeing how long a 45 minute drive from Santa Monica to the downtown of the STAPLES Centre takes you with a half seven tip-off game on the line), to get Pelicans superstar Anthony Davis. Who has demanded a trade from New Orleans, but will be a free agent next year and has informed the league that the Lakers are his preferred destination (minus the car congestion) and any team he gets dealt to will merely act as a one year rental until he dons purple and gold. It all seems pointless doesn’t it? But there is another Anthony that looks almost as ‘so near so far’ close to joining the LeBron Show. And that’s his merlot friend and former Rookie rival Carmelo. With the exuberant young core of Lonzo, Ingram, Kuzma, Hart and Zupac (they already all go by one name…so you know they’re good) on the block and the Lakers not learning from Randle or Russell (who has just been named an All-Star for Charlotte, to many a tweet from many a player including the not so subtle shots of last year Laker spark-plug Isiaah Thomas tweeting, “one team didn’t want you but another did. And now you’re an All-Star”. Some real character that was retweeted by Larry Nance Jr. Damn! Jordan Clarkson may as well have favourited it), it looks like they are all about the vets like sick pets. And to be fair the meme team is ‘Stranger Things’ have happened hella fun. From the all dunking and blocking energy of ‘Defensive Player Of The Year’ conversation JaVale McGee, to the All-Star veteran star scoring in bunches of Michael Beasley. And of course the pure point of Rajon Rondo, perfect for Lonzo. But finally after returning from spending most of the campaign being suit and tied to the pine with injury or spitting suspension, he’s now on the block with Ball and Bease’ back to the N.O. Must Read: Will The Garden Be Eden Again For The New York Knicks With Monroe? And then there’s Lance. The hustle and flow of this team with a former Pacer superstar pedigree. Whose make ’em dance celebratory enthusiasm is an energy and one. Certainly a classic character in league and now a Lakers lore where he is a STAPLES fan favourite. And he’s still got it too. Muscling through the paint for a dunk or dish. Doing this whilst dogging on defence. But his sweet spot seems to be just inside the perimeter fence. Where he backpedals to the futuristic downtown Pico skyscrapers of the city, whilst dribbling to set up his signature shot that is all bucket and water. You just know it’s already going in as he does tuning his guitar and then strumming the Gibson to that now classic celebration song that has been modern iconic since the day he played the Warriors a ditty on Christmas Day like chestnuts roasting on an open fire. Blow us a tune in our ear number 6. But what goes through his head when Lance licks? Well the fires in his eyes and the words are really clear. It’s not the Rolling Stones or Guns N Roses. Showing how funky and strong his fight it’s the ‘Thriller’ classic of Michael Jackson and Eddie Van Halen on the axe. And with that here’s a message to the Lakers. To play you need six strings…not just one. One snaps and like Christmas lights all going out, music can’t be made. Lance Stephenson ladies and gentlemen! Music to the Lakers fans ears. Let’s give him a hand. Born ready to be a rock star. Even two games down the Thunder bolt boys joked like the last laugh that was yet to be delivered, like this what’s the 4-1 punchline. 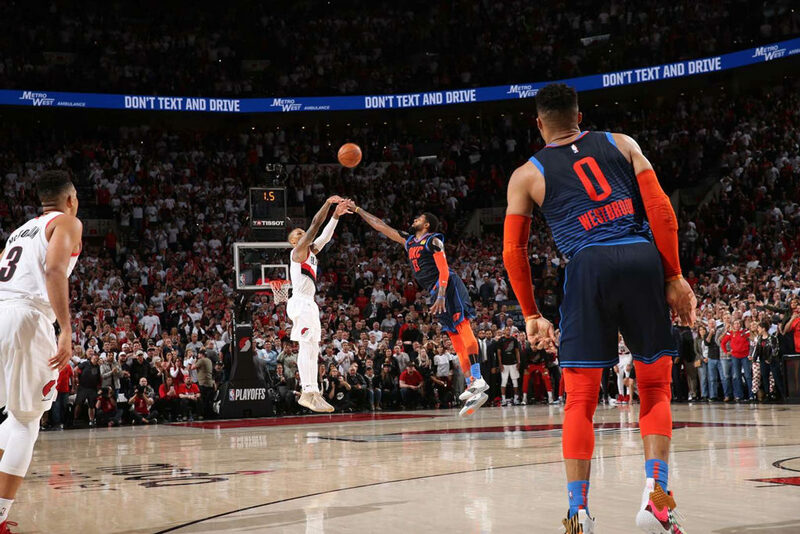 Zero to zero for the best series of these NBA Playoffs so far, Russell Westbrook rocked the baby at Damian Lillard, before mocking his wrist watch celebration like he did Laker meme Lance Stephenson’s air guitar strumming one with D’Angelo Russell ice in his veins. All before Paul George double pumped a dunk as time expired on a game that was already decided way before the horn blared. But then last night before posting that Sun Tzu quote on Instagram in this art of war. In the face of P.G. the PDX P.G. beat the buzzer as Dame Time struck from way downtown RIP City. With an Austin 3:16 bottom line to give OKC the history engraved tombstone and the Portland Trail Blazers a legendary storied, legacy making championship belt for this classic series in hardwood history. Colder than February. More ruthless than a convertible in Summer. 37 feet high and rising from deep. Deep as the halfcourt abyss. 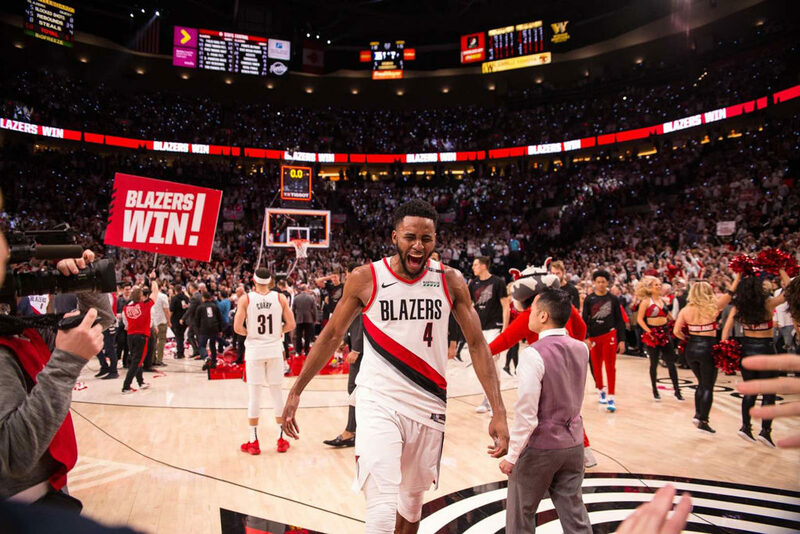 With the this time of season cherry blossoms blooming outside Portlandia’s Moda Center, the City of Roses was handing everyone from basketballs Oklahoma home funeral flowers. And leading the precession, hearse wrapping it up like his killer bars, Dame D.O.L.L.A was right on the money like exact change only please, waving goodbye. Even if Paul George walking off in defeat like LeBron James and getting his Vlade Divac on in a press conference more awkward than a blind date with an ex called it a “bad shot”. To which the great Dame simply replied with a tweeted “lol” (see also, laugh and last). He better Big Shot Bobby Horry check a newspaper or something. Dame Time didn’t just beat the buzzer. He took baby powder to it. As Dame had all the Louis Armstrong time in the world with ten on the clock and the last shot in this final frame to dribble drive or dish. But instead, toying with George like a cat does a mouse, as David beat Goliath like Jerry did Tom, Lillard had the sand to set up shop, his spot and his shot from what looked like a bunker. A hole in one, with the cocksure confidence of Tiger Woods putting for Masters glory in Augusta and embracing his kids, two decades after doing the same with his pops all for the green jacket. From this master, like a tap in putt with no Mulligan to carry, this was always going in. Nothing but net. All water like those Thunder tears. O.K. now that was a 3. And to think I swore I wouldn’t go back on social media until after the new Avengers movie came out, but DAMN Dame Time! Spoiler alert, this is the new ‘Endgame’ now. Cousy. Pettit. Sam Jones. Wilt. Chuck Barkley. M.J. And now the Dame train as the legendary Lillard goes hard to join this lineage as the only players to hit 50 in a playoff clinching game. 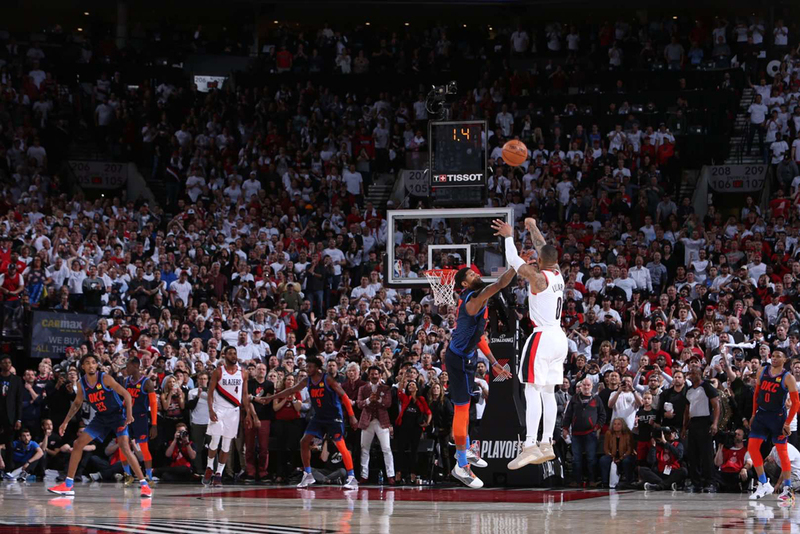 And what a way to do it, fading away to clock out of the game and series 118-115 for the greatest Portland playoff moment since the G.O.A.T’s shrug. As mobbed by teammates on the floor he sank into, telling Russ to ‘Get Out’ his house. Peeling off like Jordan, Damian all on his own like a devil, GIF turned into an instant meme, as he turned the Thunder into a memory (you know the one were everyone loses their mind around that smirking kid with glasses in the raincoat? Well now guess which superheroes face is super imposed?). Staring into the camera with that look you know was for Russell Westbrook. Whose left holding the baby now? Dame didn’t even have to check his watch. Why? Him, her, them. They all knew what time it was. His. As Dame Lillard just did it in the Oregon home of Nike. Shoe dog like Phil Knight, running off victory for the courtside crowd, including legendary comedian Cedric the Entertainer for this last laugh lap. As this Gladiator hit one of the best and biggest shot fired in NBA history. Subliminal and literal. 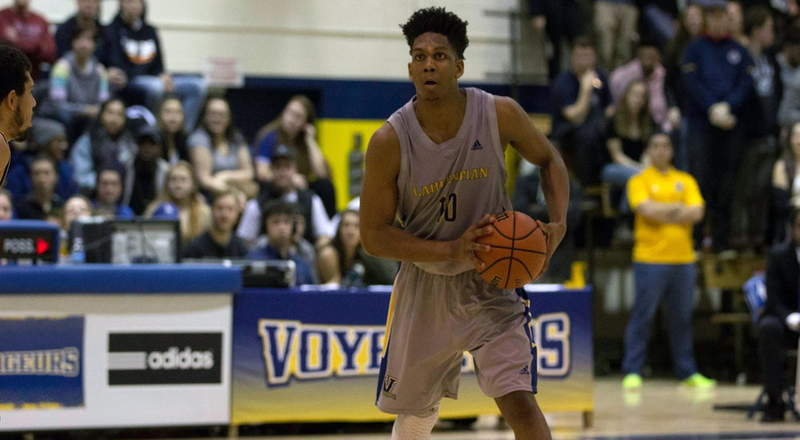 Two-time U Sports basketball player of the year Kadre Gray of the Laurentian Voyageurs has declared for the 2019 NBA Draft. Gray, a 6’1″, 190 lbs junior guard from Toronto, Ontario has been terrorizing Canadian university basketball since his freshman season — cementing his legacy as a two-time MVP and scoring champion with a ridiculous 26.3 points per game career average in three full-seasons with the Voyageurs. The 2016-17 U Sports rookie of the year award winner took the league by storm — leading the country in scoring as a freshman with 23.2 points per game. He finished second in his sophomore season with 24.4 points per game and led the nation in assists total with 141. He took his game to a different stratosphere in his junior season — increasing his league-leading output to the third highest scoring average in Canadian university hoops since 1981-1982 with 31 points per game. Calgary Dinos’ all-time great’s Richard Bohn and Karl Tilleman both led the nation with higher and ironically, identical scoring averages. Both Bohn and Tilleman averaged 32.8 points per game. Bohn doing it during the 1995-1996 season and Tilleman, a two-time Canadian Olympian and NBA draft pick dominating the league in 1981-82 — before Canada’s adoption of the three-point line. Not a one-trick-pony, Gray averaged 7.4 rebounds and 6.2 assists, 1.6 steals in 34.1 minutes per game. Gray erupted for a career-high 48 points in a 101-81 win over the Lakehead Thunderwolves — shooting 13-of-23 from the floor and burying 19-of-20 shots from the foul-line on November 3rd, 2018. He delivered his third 40-plus point game of his career with another impressive performance — 16-of-29 shooting against the Ryerson Rams on February 9th, 2019 — his lowest scoring output of the season was 23 points on multiple occasions. 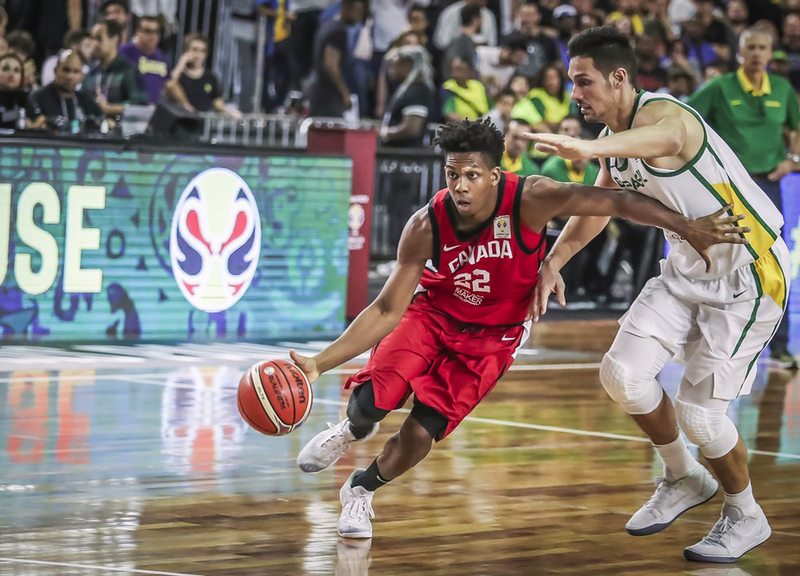 Gray also represented Canada during the FIBA Basketball World Cup process playing in games against Venezuela and Brazil. Prior to Laurentian, Gray honed his skills as a two-time athlete at Eastern Commerce Collegiate for three-years — leaving track and field (high jump, 100 meters) in the rear-view mirror and transferring to rival Oakwood Collegiate to conclude his high school career. 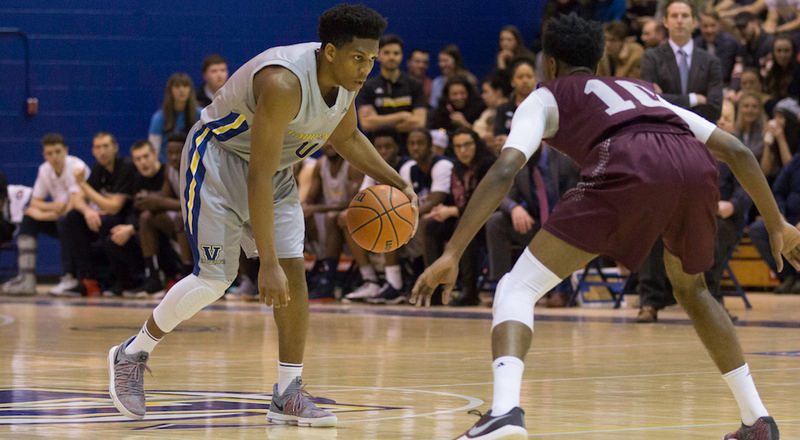 Ryerson’s seven-foot center Tanor Ngom also declared, making it the first time in the history of Canadian university basketball that two U Sports players have entered the draft. Additionally, with a record number of Canadian players in the NCAA tossing their names in the draft process we should expect 2019 to be the biggest year for Canadian’s at the NBA Draft.